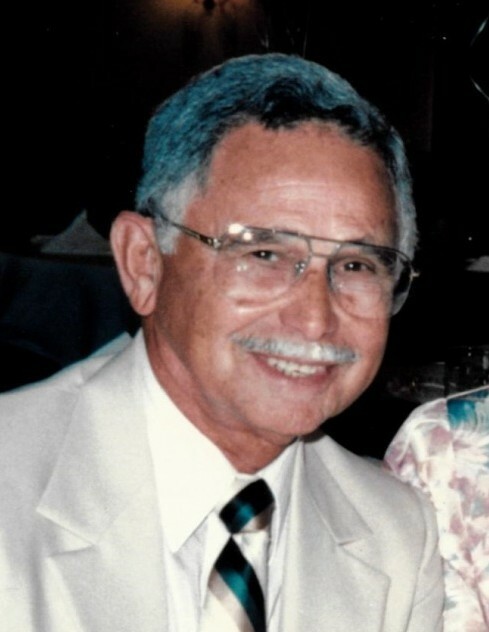 Truman Lafayette Anderson, 93, of Hallettsville passed away Friday, April 6, 2018 at his home. Truman was born June 14, 1924 in Shelby County, Texas to Nancy Pearlie Wilson and James Benjamin Anderson. Truman served his country during WWII in the Army Air Corp and was an Independent Insurance Agent/Owner. Truman is survived by his wife; Dorothy Louise (Smith) Anderson, 1 Son; Stanley Anderson and his wife Veronica, of Irving, Texas and 2 Daughters; Beverly Edwards, and her partner, Rikke Goldhirsh of Hallettsville and Bernice Jensen of Missouri City, Texas. 1 son-in-law; Gregory Balfoort. 1 Brother; John Elby Anderson. 7 Grandchildren; Derek Anderson, Katie Springer, Garrett Balfoort, Melissa Riggs, Sarah Anderson, Hillary Donald, and Chelsea Bea Fisher and 6 Great Grandchildren; David Anderson, Isabella Anderson, Aiden Springer, Piper Balfoort, Olivia Riggs, and Liam Harvey. Truman was preceded in death by his parents, 1 daughter, Carolyn Balfoort, and 5 siblings. The family wishes to thank Dr. Susan Kraemer and the staff at LMC; Grandpa’s girls at LMC Health Center; and the special team of Angels on earth from Hospice of South Texas that helped us care for Dad so lovingly preceeding his passing into the light.